Elise Currey has lived in the Napa Valley since 1972 and has been with Morgan Lane since 1999. She is one of the Top Producers in the company, selling vineyard estates, land, and luxury homes in St. Helena, Old Town Napa, Calistoga, and Angwin. Elise is both dedicated and ethical, working tirelessly to find the perfect realty match. The success and variety of Elise’s career create a tremendous and rare asset to her clients in the real estate business. She is a graduate of Stanford University and U.C. Hastings College of Law. 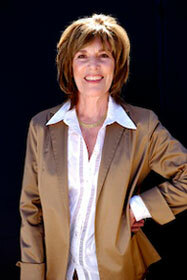 Prior to shifting her emphasis to real estate, Elise served as the Project Manager for a Texas-based Class A office developer, the Director of Revenue Bond Programs for the Mayor’s Office in San Francisco, Staff Counsel for the California Housing Finance Agency, and the first Controller of Domaine Chandon. Elise’s community involvements over the last decade include volunteer work with several non-profit family and children’s service groups, U.C. Master Gardeners, the Napa Valley Opera House, and the Napa Valley Wine Auction, the proceeds of which benefit health and social services in Napa County. Her professional affiliations include: National Association of Realtors, California Association of Realtors, North Bay Association of Realtors, and the State Bar of California.